Carlos Miguel’s and Clear Sky Elementary have teamed up to help raise money for CSE! Please join us on April 30th from 4-8pm. Make sure to bring this flyer or mention Clear Sky Elementary!!!!! Dine in and carry out orders only. Online or delivery orders will NOT count towards Clear Sky Elementary. 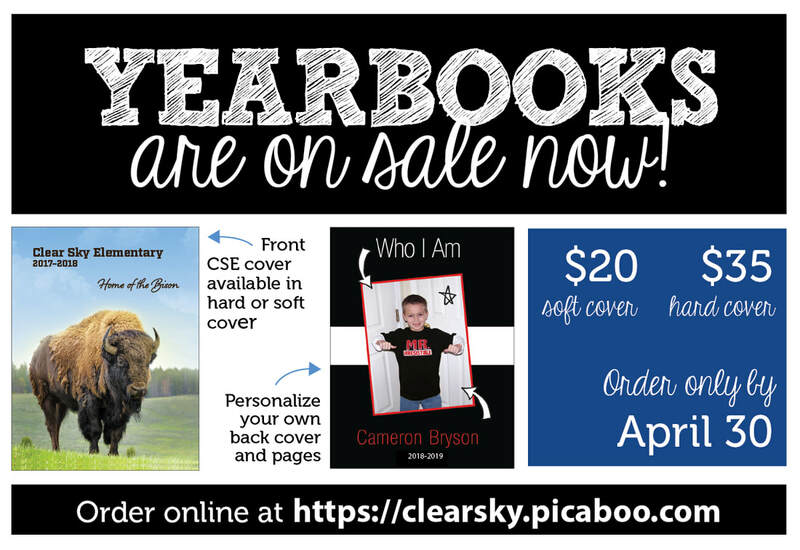 CSE 2018-2019 yearbooks are now available for sale! Once again, we are offering school yearbooks with double-sided covers from Picaboo. On one side is CSE’s cover and inside pages; flip it over, and the other side is the student’s personalized cover and pages. It’s two yearbooks in one! Soft-cover copies are $20 and hard-cover copies are $35. Orders must be placed online at https://clearsky.picaboo.com by April 30. (Personalization must be completed by April 30 as well.) Please note: Your student’s registration fee did NOT include a yearbook. Yearbooks must be ordered separately by April 30. That’s a wrap on “A Clear Sky Night”! Our Spring Event & Silent Auction was a huge success! Thank you CSE Parents, Families, & Friends for your support! The money raised will go towards the new science curriculum in the classrooms and teacher grants! We will announce our fundraising total soon! 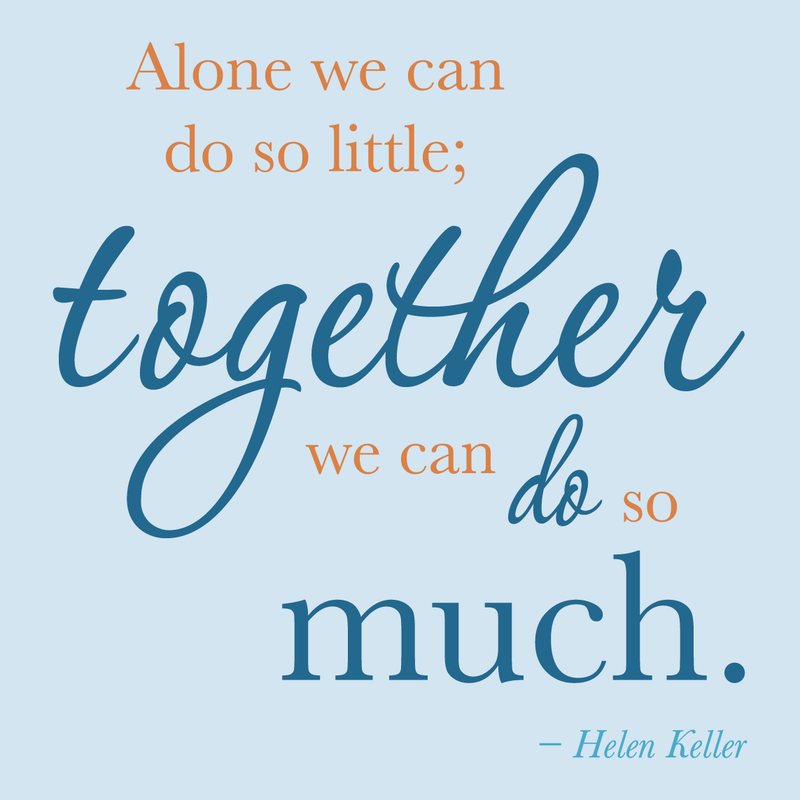 And a BIG Thank You to all of our fabulous Volunteers ~ We appreciate all your help! The final General PTO Meeting is next Monday, April 22nd at 6:00pm. We will be meeting in the library. We will be holding elections for the upcoming school year. Please join us! Our Spring Event "A Clear Sky Night" is this Saturday, April 13th at 7:00 PM!!! The Silent Auction is OPEN!! Start bidding! Use the link below to Register! There are still a few tickets left ~ Come join the fun! Get your Tickets today! Appetizers: Meatball & sausages and spinach artichoke dip with warm pita bread. Main Dish: Salad cups, fruit cups, and an assortment of sandwiches, wraps, and pinwheels. Dessert: Cookies & candy bar. Balloon Pop available for $20 per balloon - get a balloon and win a prize! (Credit Cards Accepted) Our fabulous Silent Auction items will be displayed around the room so you can see all the amazing items you can bid on! There is only a Silent Auction this year - The Auction closes at 9:30 PM on Saturday, April 13th! Cash Bar includes Wine, Beer, and 2 Signature Drinks (Margarita & Long Island Iced Tea) credit cards accepted but tips are cash only! Dj & Dancing start at 8:00 PM! Door Prizes will be announced throughout the evening! Once again, we are offering school yearbooks with double-sided covers from Picaboo. On one side is CSE’s cover and inside pages; flip it over, and the other side is the student’s personalized cover and pages. It’s two yearbooks in one! Soft-cover copies are $20 and hard-cover copies are $35. Orders must be placed online at https://clearsky.picaboo.com by April 30. (Personalization must be completed by April 30 as well.) Please see the attached flyer for more information. Please note: Your student’s registration fee did NOT include a yearbook. Yearbooks must be ordered separately by April 30. Do you have photos of groups of students you’d like included in the yearbook? Please email them at actual size to CSEyearbooks@gmail.com by April 10. "A Clear Sky Night" Silent Auction starts Monday, April 8th, 9:00 AM!!! But it's not too late...you can still buy tickets to our Spring Event "A Clear Sky Night" on Saturday, April 13th, 7:00 pm - 11:00 pm at the Grange! ~We need lots of help to make this year's Spring Event a huge success! If you can help us set up, or clean up on the day of the event please sign up using the link below. -Either create an account if your King Sooper card is not registered yet or log into your account. New users will need to create a new account which requires some basic information, a valid email address and a King Soopers loyalty card. -Purchases will not count until this one time process is completed. Please contact CSEPTOpresident@gmail.com with any questions. Concert Tickets, Ski Passes, Summer Camp Spots, Luxury Spa Baskets, VIP Rockies Experience, Handmade Classroom Projects, Fabulous Teacher Experiences, and so much more!!! Yes that's right, these items and so much more will be available in our Silent Auction at our Spring Event Saturday, April 13th at the Grange!! Silent Auction, Balloon Pop, Buffet, Cash Bar (wine, beer, signature drinks), DJ, Door Prizes, and more!! Get you Tickets Today!! YOU don't want to miss the fun! Can't make it to the event? Don't worry our Silent Auction starts Monday April 8th at 9:00 AM and is open to everyone!! Just use the link above to register! Bidding instructions will be sent home next week! We need lots of help to make this year's Spring Event a huge success! If you can help us set up, or clean up on the day of the event please sign up using the link below. Nominations for the 2019-2020 PTO Board are due soon. Elections will be held at the PTO General Meeting on Monday, April 22nd, 2019, at 6:00pm in the Learning Commons. 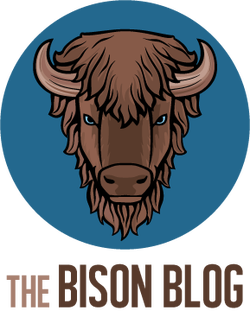 This blog is designed to keep Clear Sky Elementary parents and teachers up-to-date on all PTO activities.